It’ll be love at first site when you see the Born Mohan boots. This women’s ankle boot has an adjustable strap and double gore for slip-on ease. Supple leather creates a rich looking upper and inside, a microfiber covered and cushioned footbed offers a generous amount of cushioning and support. The Mohan is crafted from Born’s Opanka construction making them flexible without sacrificing durability and a rubber outsole will keep you surefooted. 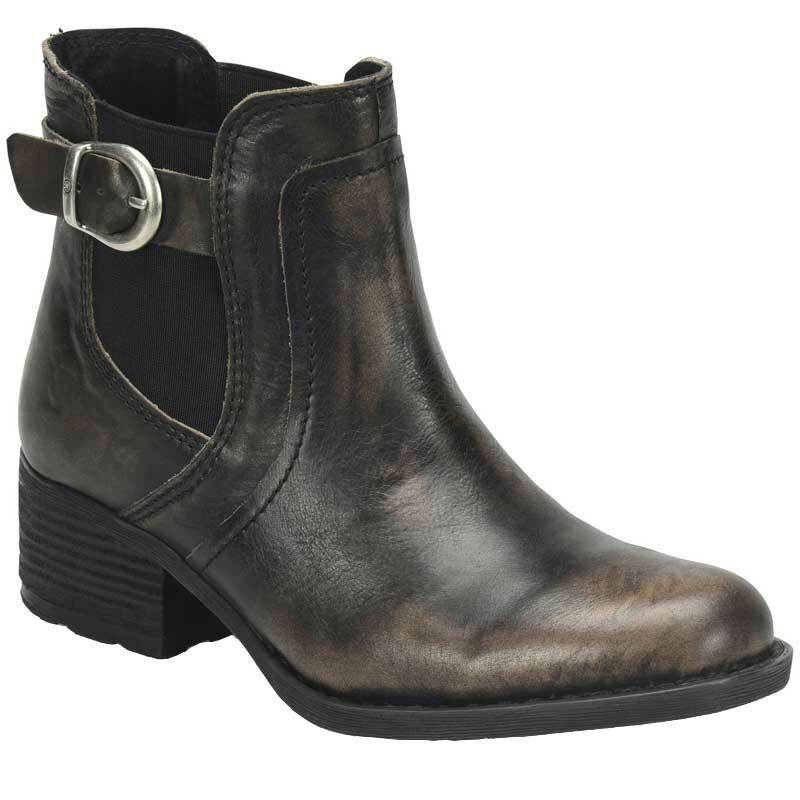 Whether you’re wearing jeans, slacks, or a skirt, the Born Mohan boot is what you need.